Technoglobe is a leading IOT Training in Jaipur offers core IOT & advance IOT courses for software development more easy and reliable. User friendly web applications make users do their work in easy and clear way to complete their requirements. We provide IOT training in practical learning sessions, so that each concept can be explained to develop good development. Technoglobe is a leading IOT Training in Jaipur offers IOT courses.The Internet of Things (IoT) world may be exciting, but there are serious technical challenges that need to be addressed, especially by developers.Learn how to meet the security, analytics, and testing requirements for IoT applications. Working on live projects provides opportunities to make you more experienced under working conditions and real life clients’ requirements. Enroll soon for IOT Training Classes Certification Course. IOT Training will help you to find good job or create chance for your promotion. We have plenty of experienced professional instructors who will teach you at best level with live project that will help you to implement new stuffs. We designed this IOT course according to current demand of software industry. 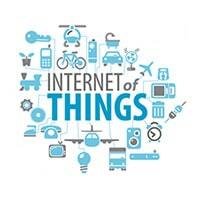 IOT is internet of things. IOT works on AAA, which means anything, anytime, anyplace. It tells interfacing of each and every sensor nodes to the internet, so that a better controlling strategy can be adopted to control a system. There are different ways of implementing IOT description in course content. IOT Course Training in Jaipur- Technoglobe is one of the best IOT training institute in Jaipur with 100% Placement Support. We provides real-time and placement focused IOT training in Jaipur. We have a track record of more than 1000 placements. Advantages of Lua over embedded c.
Program to control display devices using Lua. Program to control input devices using Lua. Importance and need to interface IOT devices with webpages. Different methods to connect IOT with webpages. Implementation of client server architecture. Use of AT commands to control a router. Implementation of virtualization in IOT. Interfacing of PC with IOT. Interfacing of sensor nodes with IOT router.